CRESTLINE — In a contest originally scheduled for Saturday, January 19, the Crestline Bulldogs boys basketball team played host to the visiting Temple Christian Crusaders back on Tuesday, January 22. The Bulldogs came into the contest winners of three of their last four games and would make it four out of five after handing the Crusaders a 76-63 loss. With the victory, Crestline sits at 5-8 overall on the season and are currently 2-4 within the Mid-Buckeye Conference. The home team got out to a fast start, posting 20 points in the opening eight minutes to head into the second quarter with a seven-point advantage. After the first half of play, the ‘Dogs held an 11-point lead at 34-23. Scoring picked up for both teams in the second half, starting with a 19-18, third quarter advantage for Crestline. In the final quarter of play, the two teams combined to score 45 points with the Bulldogs once again outscoring their hosts (23-22) en route to the win. Kaden Ronk led the way for the home team, posting a double-double with 20 points and 10 rebounds to go along with four assists and two blocks. Ty Clark also recorded 20 points in the victory, in addition to snagging seven rebounds. Spencer Harley rounded out the double-figure scorers for the ‘Dogs, contributing 17 in the winning effort while also pulling in six boards and swiping two steals. Other stats for Crestline in Tuesday’s victory were: Max Anatra- 8 points, 3 rebounds, 4 assists; Ethan Clark- 6 points, 4 rebounds, 1 assist, 1 steal; Calvin Reed- 3 points, 1 rebound, 2 assists; Caleb Moore- 2 points, 3 rebounds, 1 assist and Trevor Phillips- 2 rebounds, 7 assists. The Bulldogs were on the road against MBC foes, the Lucas Cubs, on Friday. On Saturday, January 26, Crestline will once again be on the road, this time in non-conference battle with the hosting Elgin Comets. Next Friday, February 1, the ‘Dogs will return to their home floor and pick back up in conference play against the St. Peter’s Spartans. SYCAMORE — After their originally meeting was postponed due to Winter Storm Harper, the Colonel Crawford Eagles headed to Sycamore to clash with the Northern-10 Athletic Conference leading Mohawk Warriors on Thursday, January 24. The Eagles upended the Warriors by a final score of 53-43, handing Mohawk their first loss of the season. With the victory, Crawford improves to 11-3 overall and 7-3 in N-10 play. The Warriors are now 12-1 overall and 8-1 in conference play. Colonel Crawford will be on the road in N-10 play on Saturday, January 26 against the hosting Wynford Royals. BUCYRUS — The Colonel Crawford Lady Eagles made the short trip to Bucyrus to meet up with the hosting Wynford Lady Royals on Wednesday, January 23. In a close contest, it would be the home team coming away with the seven-point victory; 48-41. With the win, the Royals improve to 10-5 overall on the season and are now 7-4 within the N-10. As for Crawford, they fall to 9-6 overall with the loss and sit at 5-6 in conference play. The Lady Eagles hosted the Seneca East Lady Tigers on Friday at Mac Morrison Gymnasium and will hit the road again on Tuesday, January 29 to face the Bucyrus Lady Redmen. 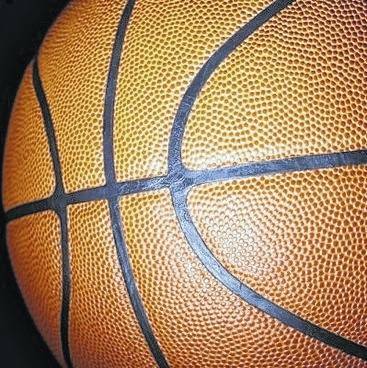 GALION — On Thursday, the Galion Lady Tigers played host to the Clear Fork Lady Colts in Mid-Ohio Athletic Conference girls hoops action. For the second time this season, Clear Fork would defeat Galion, this time by a final tally of 55-35. The Colts improve to 3-11 overall with the win and are now 2-9 in conference play. The Tigers fall to 2-15 with the loss and remain winless in the MOAC at 0-11. Galion will be on the road on Saturday, January 26 against the hosting Shelby Lady Whippets.